A few years ago, I made a difficult decision. It’s definitely not a decision that’s right for everybody but I knew it was the right thing for me. I had visited somebody’s house and they wanted me to be able to eat dinner with them. We cooked the entire meal together to ensure it wasn’t cross contaminated with gluten. Well, apparently it managed to get gluten in it and I spent the next month and a half not only feeling miserably sick but also trying to hide the fact that I got sick at this persons house. I told them a restaurant did it to me. I felt bad for lying but I think I did the right thing. I didn’t want them to feel bad. It wasn’t their fault, I just shouldn’t have been cooking in a shared kitchen. Not long after recovering, I was visiting family in St. Louis for our Christmas party. My grandma was thoughtful enough to buy me some gf food so I could enjoy something similar to what everyone else had. She knew I would want to cook it myself to be safe so she set me up in their kitchen. I spent the next half hour in a crowded, chaotic kitchen trying to segregate my food from the other foods (cross contamination is a huge issue for me). I just stood there “keeping guard” over my pot of food worried somebody just trying to help would stir my food with the macaroni spoon, contaminating it. That’s when I took a step back and realized I wasn’t enjoying myself. I was stressed beyond belief. My family who I had traveled to see were off enjoying their food but more importantly – enjoying each other’s company. Some of these people I only see a few times a year, if that. Both my family and I were under the illusion that I was missing out on the traditional foods I had grown up on but in reality, I just wanted to enjoy their company. Attempting to live like I did pre-diagnosis was preventing that. That first year after my diagnosis, I had more days where I was sick than healthy because of all the little slip ups and I knew that. Every time I put food in my mouth, it was like playing Russian roulette. I knew my luck would run out and it tended to run out fast. It was in that moment of realization that I made the difficult decision to put my health into my own hands 100%. No more shared restaurants. No more cooking in shared kitchens. No more letting my friends and family cook for me then lying to them when I said I wasn’t sick. If I was going to get sick, I would carry that blame – not the people I love. I needed to finally take responsibility for my own well-being, that meant taking responsibility for my food. It was hard. It was soooo hard! As a person who loves to cook and share their creations with people they love, telling others I could no longer enjoy their cooking felt more like spewing insults than taking responsibility. I had a lot of fear that people wouldn’t understand. That they would think I considered myself “too good” for their cooking or that I was some extreme fad dieter that was too hard on myself. And as someone who didn’t even weigh 90 pounds at the time, sometimes even dipping down to the low 80s (because I kept getting sick from gluten), “extreme dieter” was a label that was all too easy to attain. I knew I had to be honest. I explained how people who didn’t have to cater to my needs were trying their hardest but just couldn’t prepare safe food for me. I explained how often I was getting sick and how less often I was healthy. That I had started experiencing more fear than pleasure while sitting down to eat. That one delicious meal or being a “polite guest” wasn’t worth five to six weeks of terrible sickness. I also made it clear that I wasn’t targeting them. My decision applied to everybody. Nobody was being singled out. The other important thing was that there couldn’t be exceptions. That sounds harsh but from a social-perspective, it’s smart. I couldn’t decide I trusted one person’s cooking then decline someone else’s. I couldn’t eat somebody’s dinner one day but not the next day when I felt it wasn’t safe. That’s how people’s feelings get hurt. They no longer feel trusted or that they’re being scrutinized and that’s not a good feeling. I’ve even been to a party when I told somebody, “Yes, I believe you did make that safely. However, I’m sorry I can’t eat any of it because it might hurt other people’s feelings who also made food.” Exceptions complicate things and people just wanting to help go to great lengths to get in your exception window only to be disappointed, angry, or jealous when they don’t make it. I truly believe not making exceptions was the way to go for me personally. I was blown away by how understanding most people were of my decision. There were definitely times when I felt guilty and selfish so it helped to have that support. Regardless, I still hear from people “My friend is gluten intolerant too and she’s never gotten sick at that restaurant. Why can’t you eat there?” or “My cousin has celiac disease and cheats on occasion. He just gets a little belly ache. A little gluten won’t hurt you”. I hope I’m staying the obvious but we are all different. Gluten intolerance and other food sensitivities affect us all differently and we all have different ways of making it work with our unique lives. By no means do I think everyone should handle their situation the way I choose to. It may work for some but for others it may be too strict or too relaxed. We just have to figure out what’s best for ourselves personally and do that. Eating only food I made myself or was made in a dedicated gluten-free kitchen is no easy task but it does get easier with time. The biggest hurdle was seeing how other people react and learning to appropriately respond. As much as this was about making myself safe and comfortable, I had to make sure I wasn’t making other people uncomfortable at the same time. Most of us view eating as something than can be a social activity. There are also people that feel uncomfortable eating in the presence of somebody who is not eating. Even if they offered food to somebody who declined, they may still feel awkward for reasons I’m unsure of. I also was taught that accepting food, drink, or other hospitalities is the polite thing to do because it makes the host happy that they could do something nice for you. To address these issues, the best thing I could do was bring my own food at any sort of food-centered gathering as opposed to the easier option of eating ahead of time. I’ve also learned to try to bring something similar to what others will be eating or people will worry that I’m missing out. Let’s face it, showing up to a barbecue with a pb&j would undoubtedly make people feel sorry for me. But there’s no reason for anybody to feel sorry for me because I’m not missing out on anything! I’ve found what works for me and I enjoy immensely delicious food every day that really isn’t that different from what everyone else eats. When I can show people that, it definitely seems to make people not only comfortable but there sometimes seems to be a mindset shift about what people like myself can enjoy. Planning ahead is key. In the beginning, carrying a variety of snacks to satisfy any craving that might hit (savory, salty, sweet, etc) helped a lot and prevented me from making a hunger-driven decision that I’d later regret. Taking my own food to restaurants sounds daunting but it’s not bad at all! I call ahead and explain that I’ll need to bring a single container with a meal from home so I can safely enjoy a meal out with friends or family. Once they say that’s ok (they always do), I tell them when I’ll be there, how big my group is (so they know what to expect), and ask that they let the staff that will be working during that time be notified of my situation to eliminate any confusion. The last thing I’d want to do is show up to a restaurant out of the blue, put the server on the spot in front of my group, and request that I bring outside food into their restaurant. It would likely make my group feel pretty awkward too. Once I get to the restaurant, I always quietly remind the server of my situation in case they weren’t notified. I do this before sitting down because shouting that across the table would, once again, put the server on the spot and draw everyone’s attention to my situation. I do my best to minimize the abnormality of my situation and keep things feeling like a regular night out. It’s not that different if I’m with coworkers either. By now, everyone knows my situation now and if somebody new tags along, I send them a quick IM ahead of time letting them know I’ll be bringing my own food and that they shouldn’t feel awkward. I definitely don’t want them sitting at the table wondering what’s going on but scared to seem rude by asking. If I’m out with coworkers, I definitely want to keep the conversation on more important topics anyways. Traveling can be manageable too. If I’m going someplace I can drive to in a few hours, I’ll pack up a cooler with snacks and meals I’ve prepared ahead of time. If I have to take a longer trip or fly somewhere, I’ll do more planning in advance. I’ll aim to stay somewhere with at least a fridge and microwave, if not a small kitchen. I’ll also look online for nearby grocery stores and set aside time on my first day of the trip to pick up some items. I always go with a list of things I’d like to buy that will be simple to prepare and easy to eat on the go. Packing my own Tupperware, utensils, and dry snacks helps too. All of this might make it seem like I live a stressful, high maintenance life completely centered around my gluten intolerance but in reality, my dietary restrictions don’t even cross my mind on most days. If you think about it, the majority of the time, I’m not traveling or eating out. I’m usually just eating my favorite meals in my own home or at my desk at work, just like any other person. I don’t buy or cook anything unsafe for me to eat so deciding what to eat on a typical day takes no more effort for me than it would for the average person eating at home. As I said, none of this is meant to be advice for anyone. I’m not trying to convince anyone to live this way. We all have to figure out what’s best for our health and lifestyles and do that. I know there are plenty of people in the celiac, gluten intolerant, and food allergy communities who have made the same choice as I have and I really don’t think it’s talked about enough. Making that choice can feel isolating or like we’re overreacting when everyone else seems to handle their food sensitivities “so easily”. We can’t let it be about that and need to be confident that whatever we choose is right for us personally. 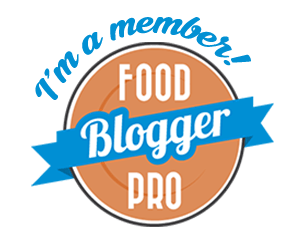 I would be very interested in hearing how you handle any food sensitivities or allergies you might have or if you’ve discovered any good tips my other readers might benefit from. If so, leave your thoughts in the comments below or you may email me privately using my contact form. Beautifully written and Perfectly explained! Thank you for sharing this!